This is how a Wellingborough town centre eyesore could be transformed by 2020. The Tresham College campus in Church Street is set to undergo a major refurbishment after securing £7.5m in funding from Semlep. The site only currently offers programmes in motor vehicle technology, with many of the 1960s-built buildings too costly to maintain. But plans have gone on display for part of the refurbishment which could see more students back at the campus by September next year. The biggest visual change will see aluminium overcladding on the main tower block with windows replaced. It is also proposed to have more than 100 car parking spaces at the rear of the tower, accessed from Queen Street, for use by college pupils and staff. The front part of the site will be re-landscaped to create an ‘open and attractive plaza’. Internally the ground floor will be re-designed with a reception, cafe, learning resource centre and common room. The remaining areas of the college will be fully refurbished. Tresham College was set for a brand new campus in the town, but the plans came to an end when it began looking into merging with another college. 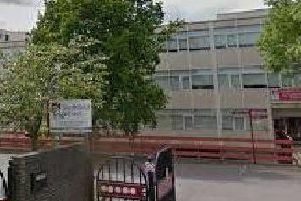 It has since merged with The Bedford College Group and part of the Wellingborough campus was demolished in 2017. To ensure that training opportunities are still available in the town whilst the campus is being refurbished, full-time and part-time courses are being run at Croyland Hall in the town. Motor vehicle courses will continue to be based at the Church Street campus throughout the planned refurbishment.